“Circle Back” and “Follow the Line” series pieces are on display at the gallery located in the heart of the Palm Springs Design District. Showing some new pieces during the First Tuesday ArtWalk in Mill Valley CA at Branded Boutique. by Bay Area artists. The artwork will remain at the venues throughout the month. ICB Artists are excited to announce the opening of their studios for the 50th consecutive year of ICB Winter Open Studios. All are invited to join this spirited collection of artists celebrating this amazing milestone. The historic ICB is home to over 100 artists creating fine art in various mediums including photography, film, fiber, painting, printmaking, animation, jewelry, drawing, sculpture, new media and more. This year over 90 artists will participate, and we invite you into our studios to learn more about our art and our process. The 50th Annual ICB Winter Open Studios will be held in the historic ICB Building in Sausalito from November 30th, December 1st and 2nd from 11 am to 6 pm daily. Friday evening we will host our traditional preview event from 6PM – 9PM. Art Palm Springs will present nearly 80 galleries from Asia, North and South America, and Europe, that represent more than 300 artists, and brings a world of art to the Palm Springs Convention Center. Opening Night, Feb. 15 2018. 60 top international galleries from as far as Japan, United Kingdom, France, Germany, Canada, The Netherlands, Portugal, and Venezuela. “One Hundred Artists Under On e Curved Roof” open their studio doors to their collectors and the curious public. 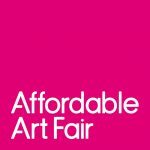 Showing during the London Art Fair at ArtRooms. 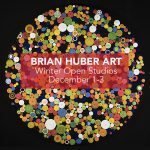 One of the highlight events at the ICB (Industrial Center Building) every year is the Artists’ Winter Open Studios. This is a fascinating opportunity to wander in and out of the studios where more than 100 painters, sculptors, fabric artists, jewelers, photographers, multimedia producers, and more, create their work. There is no better place to discover exceptional and unique works of art than at the studios where they are created — at the ICB in Sausalito! Free admission. Free parking. Wheelchair accessible. Elevator. Please join me in Palm Springs California for my 1st show at Jorge Mendez Gallery. The gallery is located in the heart of the Palm Springs Design District. Opening Reception Saturday, November 5th, 6 – 9pm. Show Dates: November 5 thru November 30th. Show Dates: September 30 – November 11, 2016. 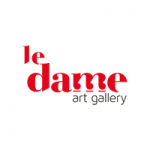 Exhibition Dates: October 8 – October 29, 2016. Northern California Arts is also hosting a Second Saturday Reception during the Sacramento Art Walk on Oct 8, 5:30- 8:30pm. Opening Reception: Saturday, October 1, 6:00 – 8:00 pm. Verum Ultimum Art Gallery 3014 NE Ainsworth Portland OR 97211. Gallery hours: Mondays & Wednesdays from 10-5 Saturdays from 12-4 and by appointment. Carter House Gallery, Caldwell Park, 48 Quartz Hill Road, Redding, CA 96003. America’s Premier Waterfront Art Festival! Louisville Art Association 801 Grant Ave, in Memory Square Park, Louisville Colorado. Show Dates: Aug 5-Aug 28, 2016. ADC’s “Gallery in the Sky” 310 Culvert Street, Cincinnati, OH 45202. Show runs July 23 – September 3, 2016. Opening Reception: Thursday July 14th from 7-9 PM. Show Dates: July 23 to August 20th, 2016.